The Yongbyon 5MWe reactor is a graphite-moderated and gas-cooled reactor with a thermal power range of 20-25MW. Construction of the reactor began in 1979 and was completed by 1986. It was modeled after the U.K.’s Calder Hall reactor. This type of reactor had several advantages for North Korea: it is fueled by natural uranium, which is abundant in North Korea; it is cooled by a carbon-dioxide gas rather than difficult to acquire heavy water; and it is moderated by graphite, plentiful in North Korea. International Atomic Energy Agency, “IAEA and DPRK: Fact Sheet on DPRK Nuclear Safeguards," www.iaea.org. “DPRK FM on Its Stand to Suspend Its Participation in Six-party Talks for Indefinite Period," Korean Central News Agency, 11 February 2005, www.kcna.co.jp; "DPRK Successfully Conducts Underground Nuclear Test," Korean Central News Agency, 10 October 2006, www.kcna.co.jp; "Magnitude 4.3 — North Korea," USGS, 9 October 2006, http://earthquake.usgs.gov. David Albright and Kevin O'Neill, eds., Solving the North Korean Nuclear Puzzle, (Washington, D.C.: Institute For Science and International Security, 2000). International Atomic Energy Agency, “Agreement of 30 January 1992 between the Government of the Democratic People's Republic of Korea and the International Atomic Energy Agency for the Application of Safeguards in Connection with the Treaty on the Non-Proliferation of Nuclear Weapons," Information Circular, INFCIRC/403, May 1992, www.iaea.org. International Atomic Energy Agency, “IAEA and DPRK: Fact Sheet on DPRK Nuclear Safeguards," www.iaea.org; "Letter from Kim Yong-nam, DPRK Minister of Foreign Affairs," Reuters, 12 March 1993. “China welcomes North Korea's NPT decision," Agence France Presse, 12 June 1993, via: www.lexisnexis.com. 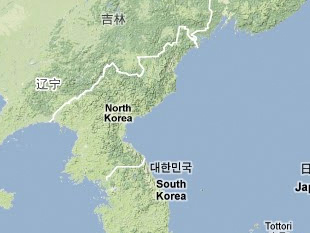 "북한 핵연료봉 60% 빼내 “[North Korea Discharged 60% of Nuclear Fuel Rods]" Yonhap News Agency, 31 May 1994, www.yonhap news.co.kr. “Agreed Framework between the United States of America and the Democratic People's Republic of Korea," 21 October 1994, via: www.nti.org. Richard Boucher, "Press Statement: North Korean Nuclear Program," U.S. Department of State, 16 October 2002, www.state.gov; James A. Kelly, "U.S.-East Asia Policy: Three Aspects," Remarks at the Woodrow Wilson Center, Washington, DC, 11 December 2002, www.state.gov. “Statement of DPRK Government on its withdrawal from NPT," Korean Central News Agency, 11 January 2003, www.kcna.co.jp. "Chronology of U.S.-North Korean Nuclear and Missile Diplomacy," Arms Control Association, www.armscontrol.org. “KCNA Report on Nuclear Activities in DPRK," Korean Central News Agency, 3 October 2003, www.kcna.co.jp; “Spent Fuel Rods Unloaded from Pilot Nuclear Plant,” Korean Central News Agency, 11 May 2005, www.kcna.co.jp; “DPRK Completes Reprocessing of Spent Fuel Rods," Korean Central News Agency, 3 November 2009, www.kcna.co.jp. "No Reconstruction at the Yongbyon Reactor Site," ISIS Imagery Brief, 4 September 2009, http://isis-online.org. “DPRK to Adjust Uses of Existing Nuclear Facilities," KCNA, 2 April 2013, www.kcna.co.jp. Nick Hansen and Jeffrey Lewis, “Satellite Images Show New Construction at North Korea’s Plutonium Production Reactor; Rapid Restart?” 38 North, 3 April 2013, www.38north.org. Nick Hansen and Jeffrey Lewis, “North Korea Restarting Its 5 MW Reactor," 38 North, 11 September 2013, www.38north.org; Nick Hansen, “More Evidence That North Korea Has Restarted Its 5 MWe Reactor," 38 North, 2 October 2013, www.38north.org. David Brunnstrom. “North Korea appears to have restarted plutonium reactor: think tank,” 27 January 2017, www.reuters.com. “North Korea has restarted reactor to make plutonium, fresh images suggest,” 27 January 2017, www.theguardian.com.